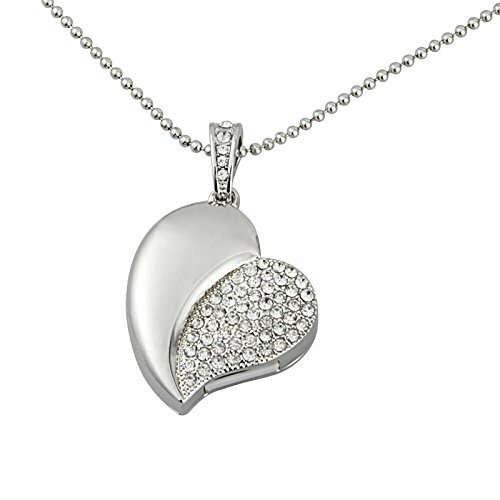 Feature : 1.Cute heart shape design and love symbolic. 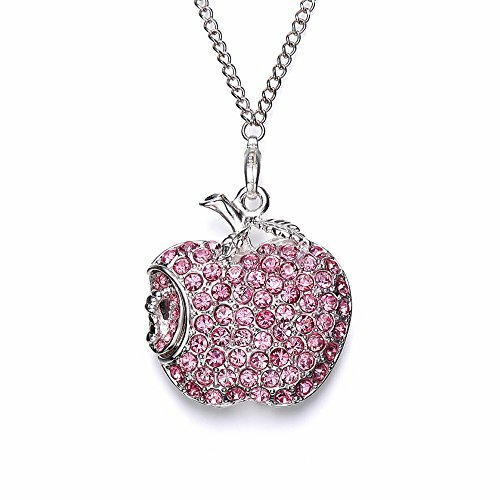 2.Allow you wear with necklace. 3. High quality original grade A chipset 4. Lightweight and practical 5. 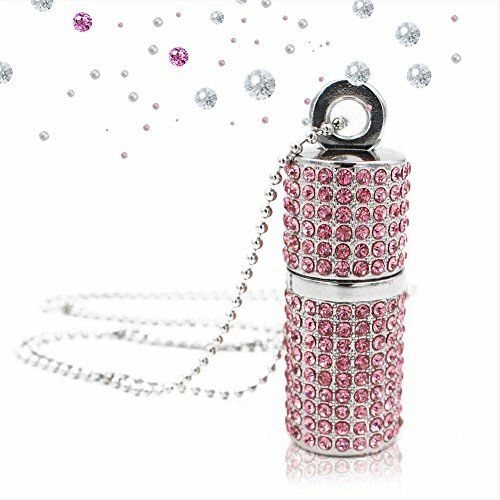 Crystal jewelry appearance but not in true Technique Details : Capacity :16GB Interface Type :support USB 2.0,backwars withUSB1.0 Transfer Speed :writing: 3M/s-6MB/s; reading: 5M/s-10MB/s Support PC Mode: all brands of PC, Laptop ,HP, Dell, Toshiba, etc. Compatibility: Desktop, Laptop, Macintosh, Tablet, Speakers and other device with USB ports. Operating System :support Windows ME/ NT/ 2000/XP/7/8, Windows Vista, Linux. But the flash drive may not work property on Mac Working Temperatures : -30º C to 70º C Storage Temperature: -20 º C to 85ºC Warranty and Service :1 years warranty and support replacement and refund service Package include : 16GB Heart Shape USB2.0 Flash Drives NOTE All product outward appearance, the color take the material object as the picture only supply the reference. And some of the listed capacity on a flash storage device is used for formatting and other functions, thus is not available for data storage. As such, the actual available capacity for data storage is less than what is listed on the products. 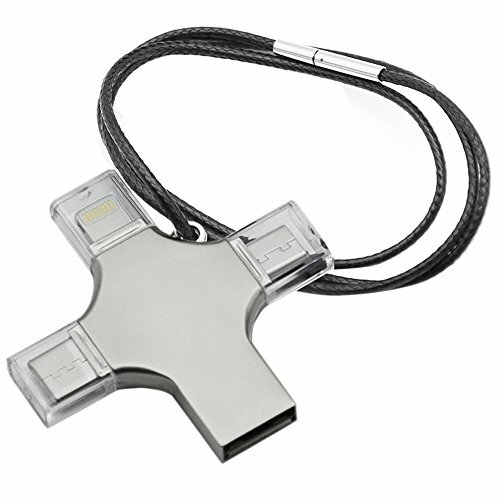 Specifications: Port: USB 3.0 Size: 4.5 x 4.5 x 0.5cm Box Size: 14.3 x 8.7 x 2cm Length of leather necklace: 55cm Weigh: 30g Material: Aluminum Metal Compatitable For: iPhone: iPhone X/iPhone 8 Plus/iPhone 7 Plus/iPhone 6s/iPhone 6s Plus/iPhone 6/iPhone 6 Plus/iPhone 5s/iPhone 5/iPhone 5c/ iPad: include iPad Mini,iPad 2,3,4, iPad Pro, iPad Air and all lightning iPads. Smart Cellphone: All the android phones with OTG function Media player: iPod Touch 6/iPod Touch 5 PC: With OSX, Windows, Linux operation system Compatible with these formats: mov .mpg .swf .vob .wmv .rmvb .avi .mp4 .mkv .flv .gif .rm mp3 .wav .m4a jpg .gif .tif .png .bmp txt .doc .ppt .xls .pdf support Features: External memory expansion for iPad/iPhone/iPod touch. Free App from App store for communication. Manage all your data directly on the IOS-device (Creat, copy, delete, rename, open in and many more). Playback videos/music directly from external memory. Securely store and share digital contents such as movies, pictures, and music from your phone. 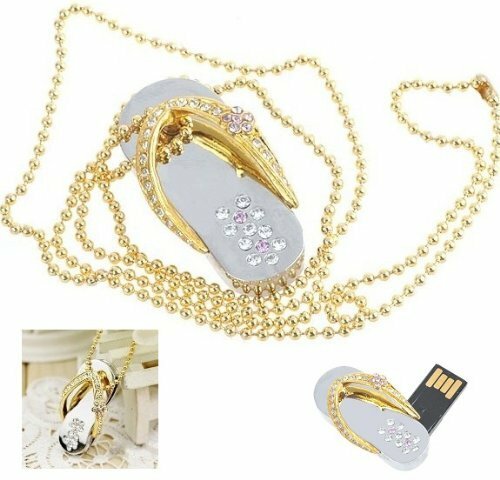 Package included: 4 in 1 USB Flash Drive X 1. Black Leather Necklace 55cm X 1. NOTE: Please download the app named "iUSB" from app store(IOS system). Android and Type-C Smartphones no need to download app, please enter to the phone "file manager" to operate. 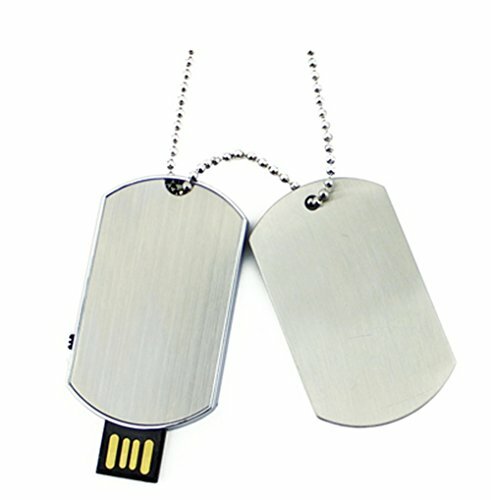 About WEITASI: WEITASI established from 2008, is a famous brand in professional USB DISK manufacturer. 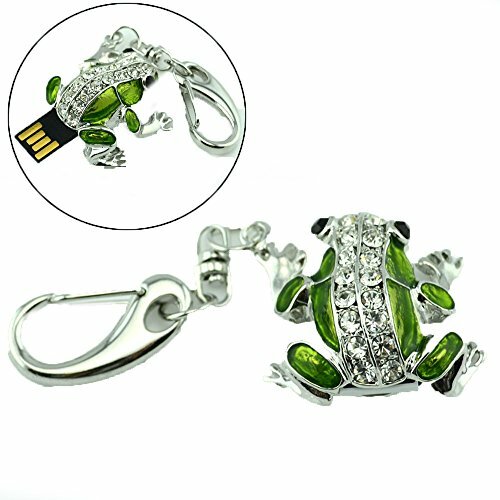 It's also able to offer you kinds of USB DISK gift solutions. 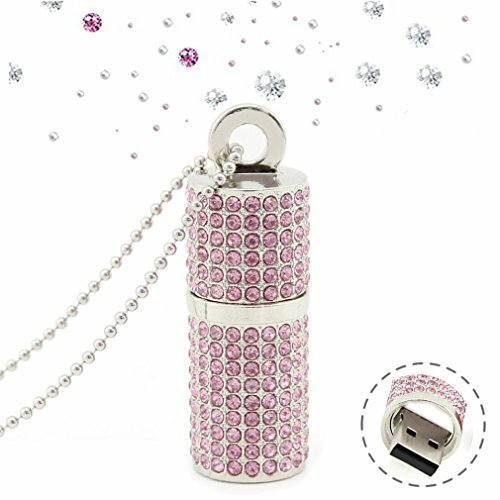 Product Details: Interface: USB2.0 Capacity:8GB Color:Pink Compatibility: Windows, Mac OS, and Linux Service: 100% quality checked and 3 year warranty If you have any concern,please contact us via Amazon-Message-System Package: 1 x USB Flash Drive Apple Shape USB flash drive is a fun and practical way of storing all of your important files and documents. 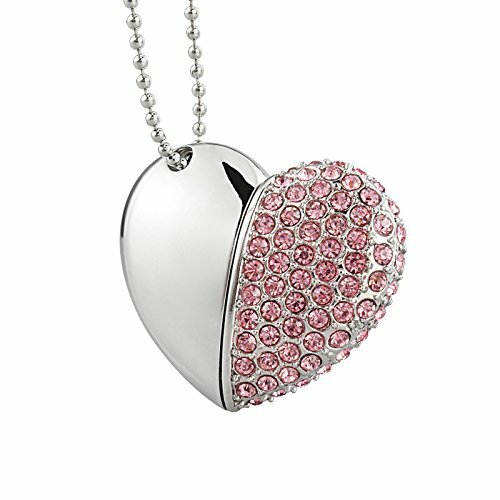 It even comes with a necklace to prevent you from forgetting or misplacing it. It makes for a great gift for family,friends or even significant others so don't pass up this terrific offer!